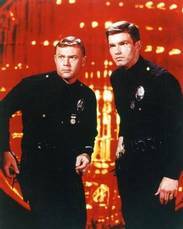 From his experience with Dragnet Jack Webb created a realistic cop show about LAPD activities. 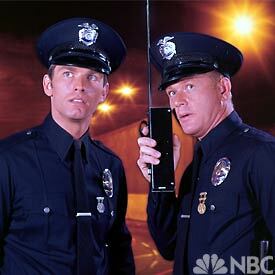 He even hired Shaaron Claridge, a police radio operator, to provide the voice for show’s radio calls.The real life dispatcher was married to a real life LA police officer! “One Adam Twelve, One Adam Twelve” called the officers to action as they covered several calls per show. Reed’s wife (Kristen Harmon) was oft talked about but only seen three times. 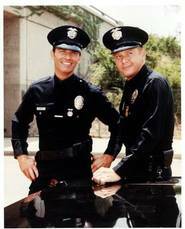 They tried to revive the show as the “New Adam 12” for the 1990 -1991 season. Peter Parros played Ofc. 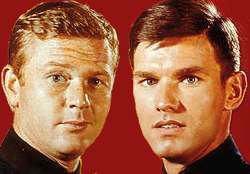 Gus Grant and Ethan Wayne played Ofc. Matt Doyle. But there was no joy to be found and the show cancelled. Gary Crosby died in 1995 of lung cancer, William Elliott in 1983, and Fred Stromsoe died in 1994. He appeared in an episode of Wagon Train, The Sally Potter Story before Adam 12. 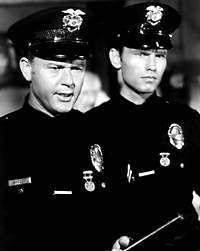 TV Guide’s Adam 12 Page, with TV Listings, Photos, Videos, Exclusive News and More.